Stuck In Books: Encore Celebration Giveaway! Have an encore one for ya! 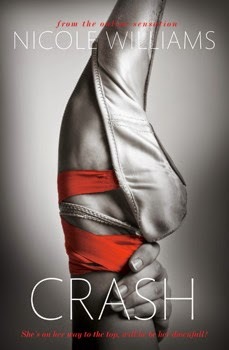 Nicole Williams has donated the UK cover of Crash! Pretty cover-thanks for the giveway. Congrats to Nicole. The UK cover is lovely! I love the contrast of the color with the starkness. It's so different from the US cover! Yes, I really like the UK cover. Thanks for having the giveaway. I like it!! i would love to be a ballerina! I LOVE this series and the UK cover is beautiful!! Yes, I love the cover. It's beautiful. I love this cover, the black and white (in fact, shades of gray, hehe) plus the red = amazing! I think this cover is really pretty! It's amazing! Wow! Pretty cover. What a foot ! I need to read this series... I am on a Nicole roll at the moment! Yes, I really like the UK cover. Thanks for the giveaway! Me encantaaaaa! I love it! I've the US editions already but would love this one too :) I like how the UK edition covers are minimalist and enticing. I actually think I like this cover better. Thanks for the chance to win.